For a while, it seemed like the Concordia Stingers men’s basketball team were headed for a second straight loss and their third defeat in their last five games. Then, all of a sudden, they came from behind to beat the Université du Québec à Montréal Citadins in last Thursday’s matchup at the Concordia Gym. UQAM came out firing on all cylinders from the start, jumping out to as much a seven-point lead in the first quarter before extending that lead to as much as 12 in the second. But something must’ve happened during intermission, because Concordia emerged as the stronger team in the second half. 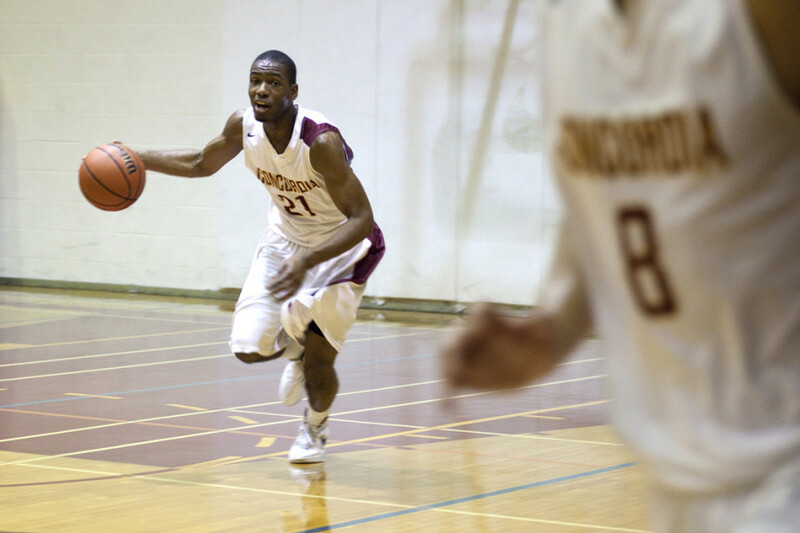 “Concordia basketball is about working hard and playing hard,” said Stingers associate head coach Ernie Rosa. They did just that in the third quarter, taking over the lead midway through the period with a three-pointer from guard Jerome Blake. “We’re all in good spirits and trying to make a push for the playoffs,” said Blake, who had a 22-point night. The game would remain a see-saw battle until the 6:00 mark of the fourth quarter, when Concordia went on a run that saw them score nine points in two minutes. UQAM tightened the gap in the dying minutes but ran out of time to complete the comeback. The Stingers have a tough test this coming Thursday with the top-ranked Bishop’s University Gaiters coming to town. The game gets underway at the Concordia Gym at 8:00 p.m. They then end their regular season in Quebec City the following Saturday, taking on the Laval Rouge et Or. That game is set for 7:00 p.m.